Oskar approached us when they had already made it. What was missing was a “face” to communicate that success to the rest of the world. 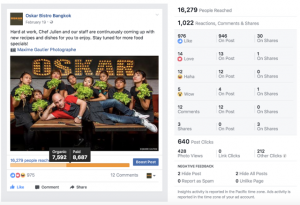 One of Grey Alchemy’s oldest clients and one of Bangkok’s most successful bars & restaurants, their success was lacking communication tools to build a community around their brand and the Oskar experience. 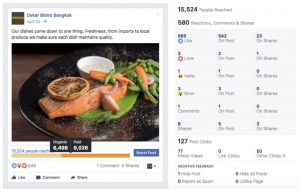 This was achieved through the use of social media, public relations, website redesign, and branding. Oskar was destined to expand regionally out of Thailand. 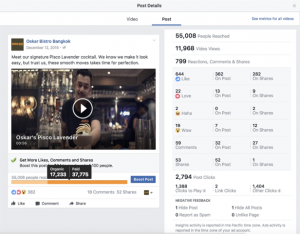 With their sights set on Cambodia, the management team is already working with Grey Alchemy in rolling out online media marketing strategies for this expansion. 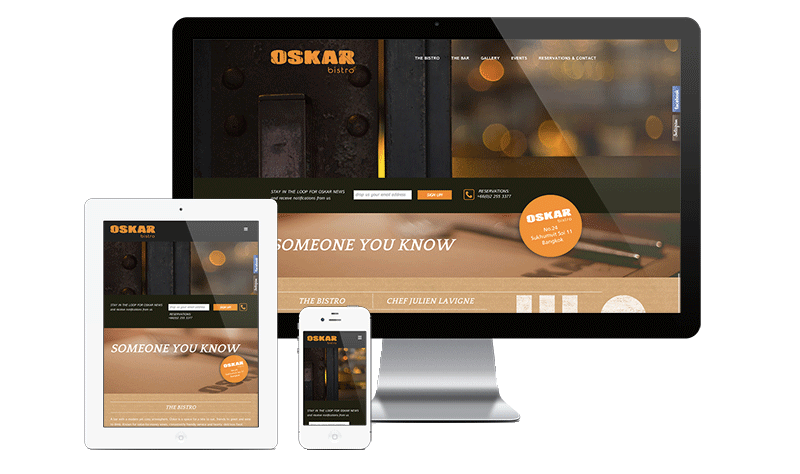 We reconnected with Oskar’s current fans while reaching out to the broader community. 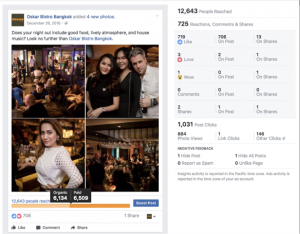 By creating a lively platform for fans and customers, we have successfully promoted their events, and cemented some of their promotions like the Wednesday Ladies’ Night, which has become one of Bangkok’s most successful weekly F&B events. We’ve also made Oskar’s value proposition clear: a friendly atmosphere, hearty food, great drinks, and good wines at excellent value for money. Our creative partner Invisible Ink used design elements that were modern and created a single page responsive website including an event plugin and online reservation capability. We successfully conveyed the homely ambiance and friendly vibes at Oskar that their customers have come to love. 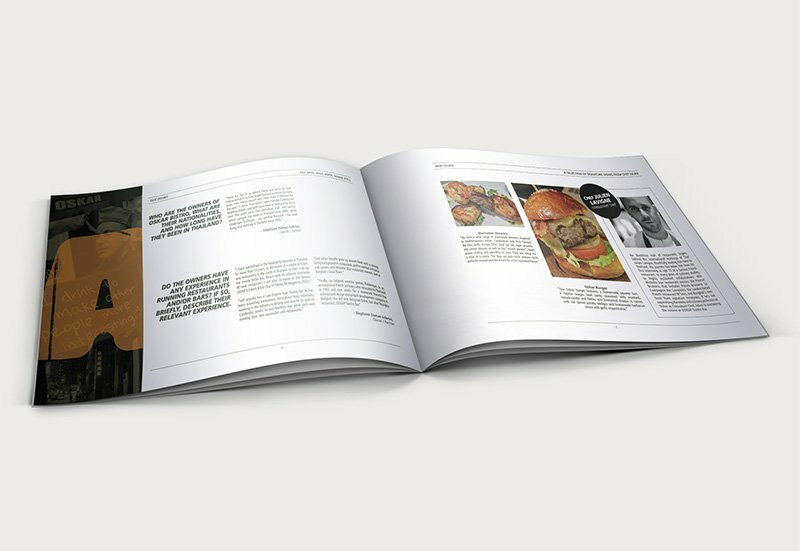 We created an advanced media-friendly press kit that detailed Oskar’s story, philosophy, people behind the concept and success as well as the food and drinks menu. The result was a highly accessible communication tool to assist the media in telling Oskar’s story effectively. 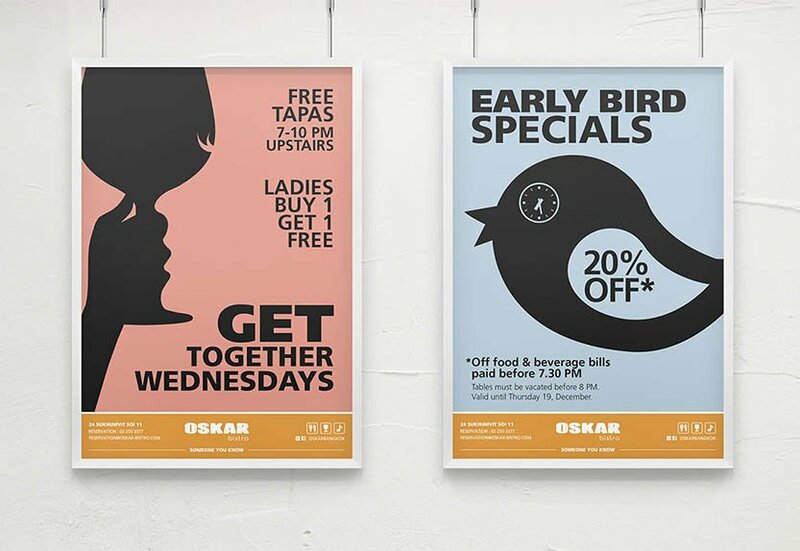 To further maintain consistency in Oskar’s branding and visual identity, our creative partner designed flyers for Oskar’s points-of-sales, social media events, and promotions.